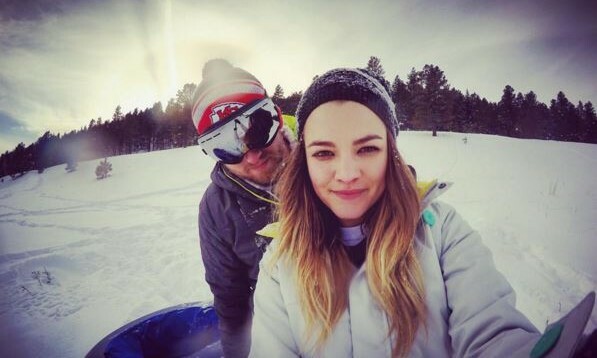 Celebrity News: ‘Bachelor’ Alum Nikki Ferrell Is Engaged! We have some sweet celebrity news to announce. Nikki Ferrell, who was previously with celebrity ex, Juan Pablo, is engaged to a long-time friend. According to UsMagazine.com, The Bachelor alum was proposed to by her best friend, Tyler Vanloo on their last day of vacation. She is very happy and can’t wait to marry him. Congrats to this happy celebrity couple! This celebrity news is awesome considering Nikki’s fall-out with Juan Pablo! What are some ways a longtime friend can turn into a romantic possibility? There may be a new celebrity couple in Hollywood. According to UsMagazine.com, Courteney Cox and Will Arnett grabbed dinner on Tuesday in Beverly Hills. Cox just recently split from her celebrity ex, Johnny McDaid. Arnett and Cox have been friends for some time. Their celebrity relationship may be something more. We will just have to wait to see! This potential new celebrity couple isn’t trying to hide! How do you know you’re ready to move on from an ex? There may be a new celebrity couple on the loose! 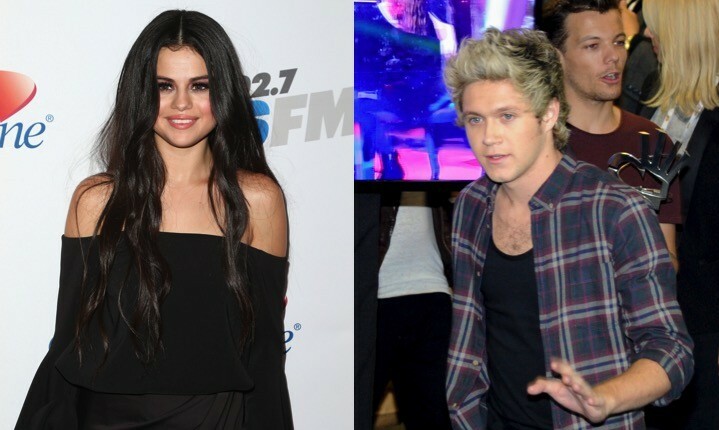 According to UsMagazine.com, Selena Gomez and One Direction bandmate Niall Horan were seen out and about at the Santa Monica Pier. In the latest celebrity news, a day after the two were confirmed kissing at a party, they were at the pier with a group of friends. Funny enough, the Santa Monica Pier was the first place Gomez went with her celebrity ex Justin Bieber. This potential new celebrity couple has been seen out and about together. Where are three great places to go on a first date? In latest celebrity news, Katie Holmes opened up about her past and how she has no regrets. From 2006 to 2012, she was married to her celebrity ex Tom Cruise. According to UsMagazine.com, Holmes states that she doesn’t regret anything that she has done. She is very happy nowadays. She and Cruise share their celebrity baby-no-more, Suri. Holmes loves being a mom. This celebrity news is surprising given her history with Tom Cruise. What are some ways to avoid dwelling on a past relationship? 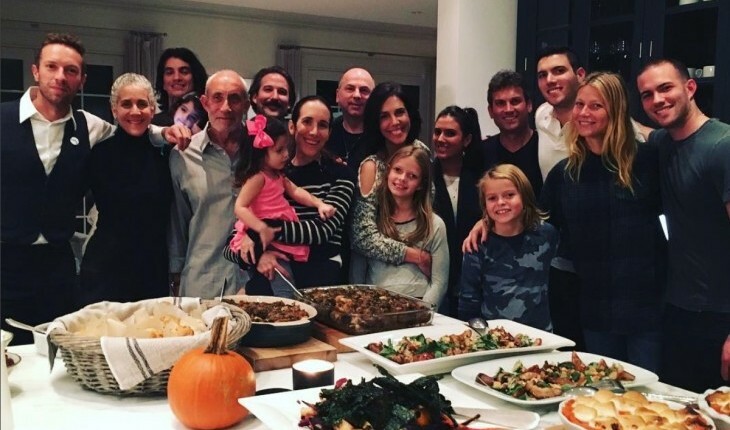 Gwyneth Paltrow and Chris Martin spent Thanksgiving with their kids. Photo courtesy of Gwyneth Paltrow's Instagram. This former celebrity couple is doing what’s best for the kids. What are some ways to remain civil with your ex for your children? In latest celebrity news, One Direction’s member Harry Styles had an awkward run-in with celebrity ex Taylor Swift’s BFF Gigi Hadid. UsMagazine.com reports that Hadid gave Styles the cold shoulder. She gave Styles a small handshake, then hugged and kissed the rest of the band mates. Styles also had a celebrity relationship with Hadid’s good friend Kendall Jenner. There’s obviously some bad blood here! 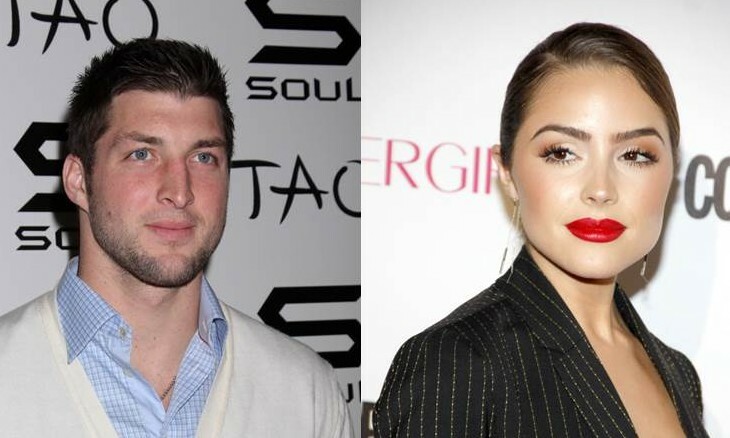 This celebrity news proves things can get awkward with your ex. What are some ways to keep things friendly and cordial with your ex? In latest celebrity news, Charlie Sheen’s celebrity ex, Bree Olson, tweets about a stressful test she took. UsMagazine.com reports Olson took an HIV test on Monday, November 16th. 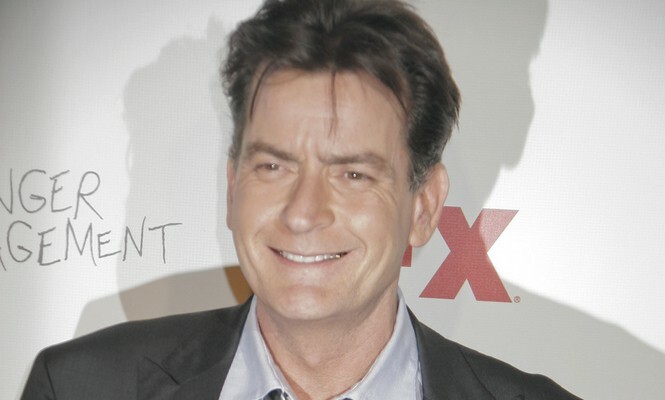 This was after Sheen was confirmed to be HIV-positive. Sheen talked about his health on the Today show on Tuesday. We are hoping for the best for the both of them! This celebrity news is a reality check. What are some ways to know if your partner is trustworthy? Celebrity News: Is One Direction’s New Song ‘Perfect’ About Celebrity Ex Taylor Swift? It looks like Taylor Swift is getting another spoon of her own medicine. Celebrity news surrounding One Direction’s new song “Perfect” is speculated to be about the “1989” pop-star and her celebrity ex, Harry Styles, according to People.com. Of course One Direction isn’t spilling on whether the song is entirely about the former celebrity couple Harry Styles and Taylor Swift or not. The boy band wants to leave it up to fan interpretation. Well, this seems to be the fan interpretation! This celebrity news could be very telling! What are some ways to use music to express your emotions about a relationship? Divorce is hard, especially a celebrity divorce, because everybody knows about it and is in your business. UsMagazine.com shares celebrity news, stating that Berry was at Spectre: The Black Women of Bond tribute at Los Angeles’ California African American Museum. After filing for divorce and her soon-to-be celebrity ex husband blasting her on Twitter, Halle Berry held her head high out on the red carpet. You go, girl! Celebrity divorce isn’t keeping this woman down. How do you cope enough to move on with your life right after a divorce? After a break-up, it’s possible to move forward as friends like this former famous couple. What are some ways to show your ex that you’re happy for them? Kate Gosselin has recently split from her millionaire boyfriend. Post-celebrity break-up, her ex-husband Jon Gosselin slammed the rumors that he was joking about her breakup in a social media post. According to UsMagazine.com, “Amid the news, it was rumored that Jon posted the ‘praising celebration hands’ emoji on his private Facebook page. The dad of eight reveals the incident did happen — but on a fake account.” These celebrity exes have no current relationship and love life and are not on good terms. They split in 2009 and are the parents to eight children, twins Cara and Mady, 14, and 11-year-old sextuplets Aaden, Collin, Hannah, Alexis, Leah, and Joel. These celebrity exes are definitely not on good terms. What are some ways to remain civil with your ex for the sake of your children? There are so many things to be excited about during the holidays: fun-filled family time, delicious home-cooked meals, presents waiting to be unwrapped and perhaps a much-deserved vacation. However, if you’re nursing a broken heart, this festive time of year may seem burdened with only cold and lonely days. You may never forget your heartache, but someday, you will be healed and happy again. Just make sure to get some solid relationship advice in the meantime.